Knitted Belle Boutique is an online-only boutique located Overland Park, Kansas. Knitted Belle Boutique was founded by Carina out of the love for clothing, with fun prints and patterns for a unique look. I had the opportunity to collaborate with them on their KBB Stylebox. 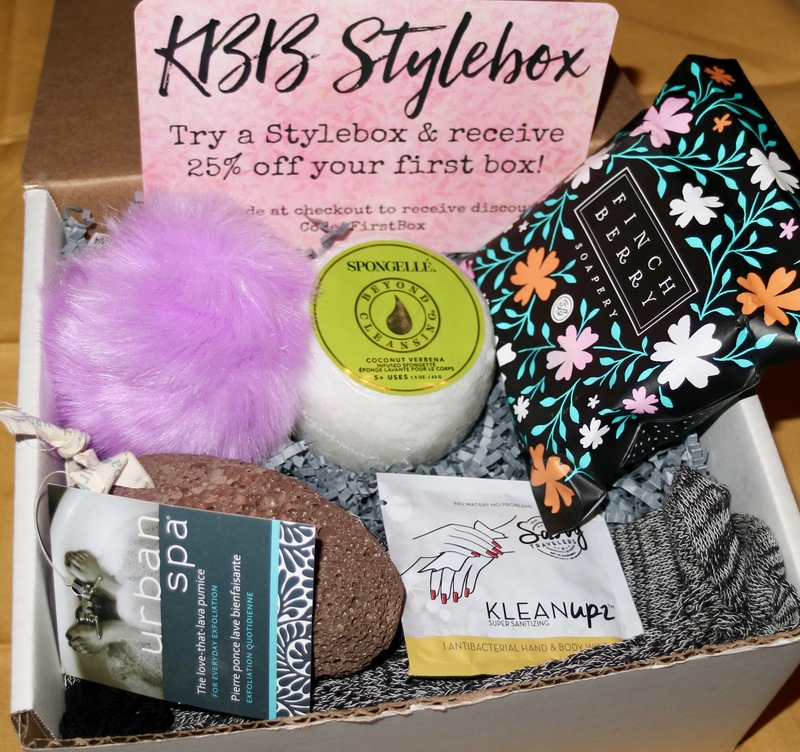 KBB Stylebox is a one-time purchase box or a monthly subscription. The box contains clothing, accessories, skin/body care or gift chosen just for you by their stylists. All of the Styleboxes are different and each box has its own theme. How crazy, there are 14 boxes right now to choose from! From Bath and Body, Birthday, Candles, Easter, and Wedding, just to name a few. You can see the rest on https://www.knittedbelle.com The boxes range from $29.00-$99.00USD. The box I received is the KBB Stylebox-Just For Fun (mini size). The mini boxes are $29.o0 plus free standard shipping for United States residents. Now to the good stuff: Whats in the box! Gray & Black Cotton Socks. I got these really cute gray, black and white socks. It has a really cute frill at the tops and holes (design?) at the bottom of the socks. I would pair theses socks with booties or with a pair of heels. 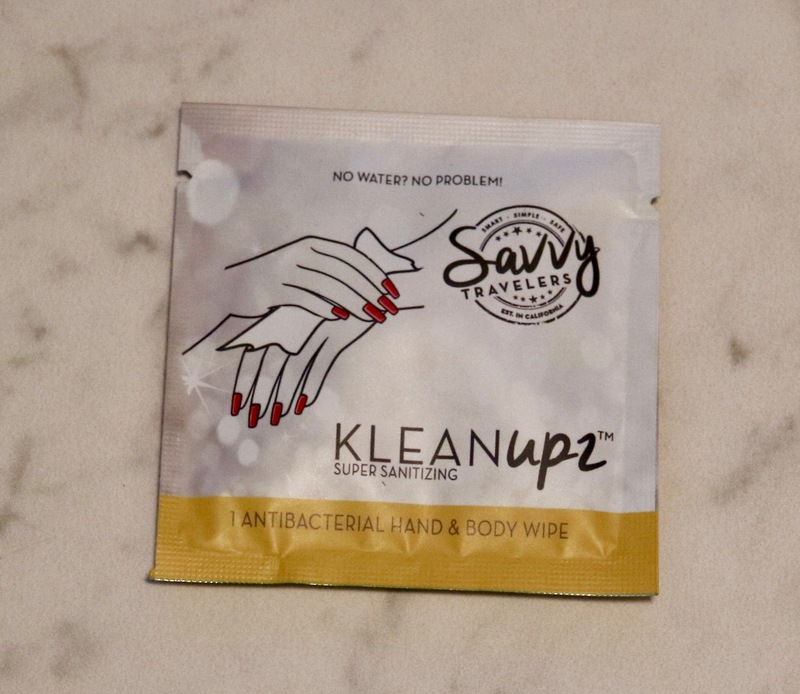 Savvy Travelers Kleanupz Antibacterial Hand & Body Wipe. The wipe has a fresh scent, it soothes and restores the skin with the Aloe Vera and Vitamin E in it. The Kleanup2 moisturizes your skin and sanitizes it; killing 99.9% of germs. This wipe is paraben free, eco-conscious, cruelty-free and the company is women-owned and made in California. This is something I would keep in my purse for a long drive traveling out of town or for a flight. You never know when you need to clean your hands. 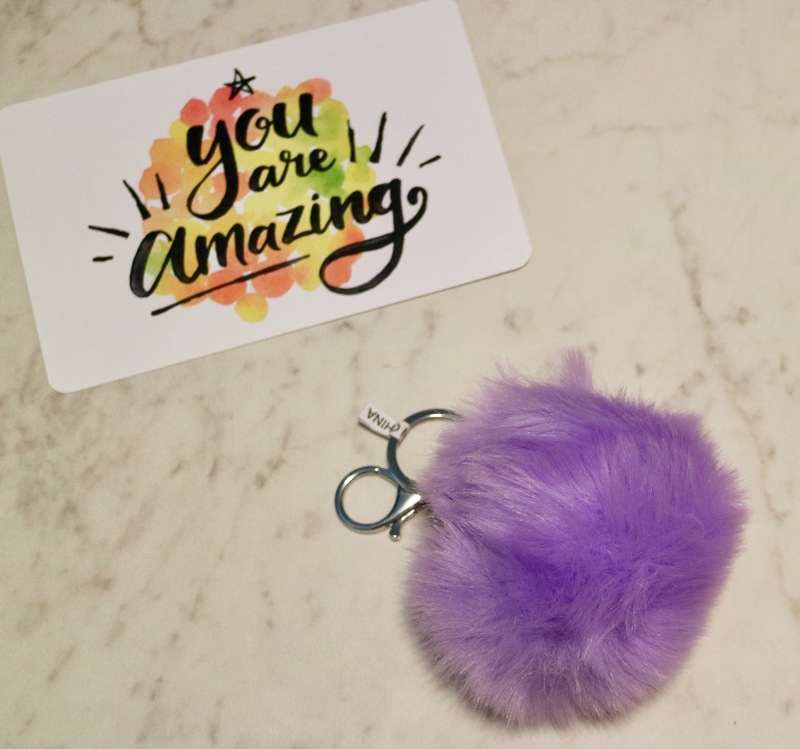 Small Purple Pompom Keychain. Pompom keychains are such cute accessories. The pompom keychain has been a popular trend since last year and you will definitely still see this accessory in 2017. It adds a pop of color to your bag, wristlet or wallet. I’m going to have to hide this from my sister. 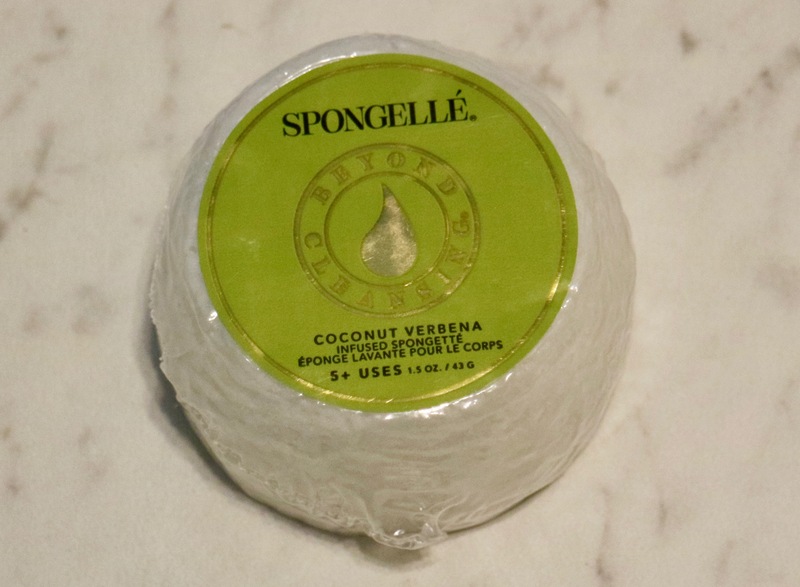 Spongellé: Beyond Cleansing Coconut Verbena Infused Spongette. How to use the sponge? Place the sponge under water a squeeze to release a lather. Massage in a circular motion to cleanse, moisturize and restore the skin from neck to toe making the skin soft and youthful. Squeeze out excess water after each use. The Spongellé is small and travel size friendly. Spongellé say it’s accepted on all airlines, there is nothing to spill, nothing to break. One Cleansing Infused Sponge can get 5+ uses. Making it great to travel with such as vacations, to the gym, or a beach trip. The Spongelle is hypoallergenic & dermatologist tested, vegan-friendly and cruelty-free. The key ingredients are glycerin, water, fragrance, yuzu extract, edelweiss extract, and vetiver root extract. It’s also made in the USA. 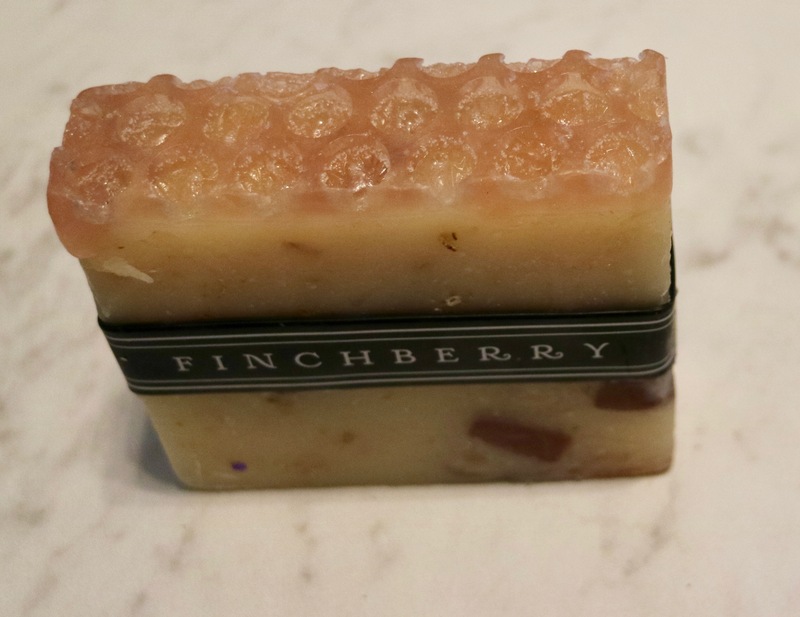 Finch Berry Soapery: Renegade Honey. Renegade Honey is a handcrafted vegan soap. 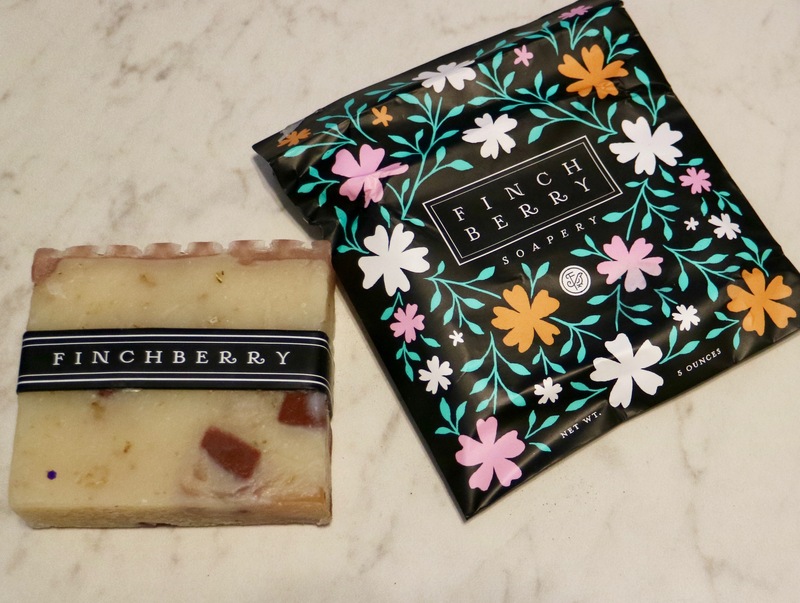 *this vegan product does not contain actual honey** Finchberry Soaps are made from natural, food grade, gluten free, and vegan-friendly ingredients. You will not find any harsh chemical preservatives in their products. Their soaps are rich, has a gentle lather, cleansing and beautifully appealing. Finchberry Soaps did a really great job designing Renegade Honey, the top actually looks like a honeycomb, it is cream colored with amber flecks.The ingredients are purified water, saponified oils of organic olive, organic coconut, palm, shea butter, select essential and/or fragrance oil, rolled oats, mica. Renegade Honey smells so good, with a rich bitter almond and sweet honey scent. To me, the smell is loud (when I open the package, I can smell the soap) but it’s a subtle smell. I’m sensitive to loud smells and I keep sniffing the scent and it hasn’t given me a headache which is great. I can’t wait to try it. 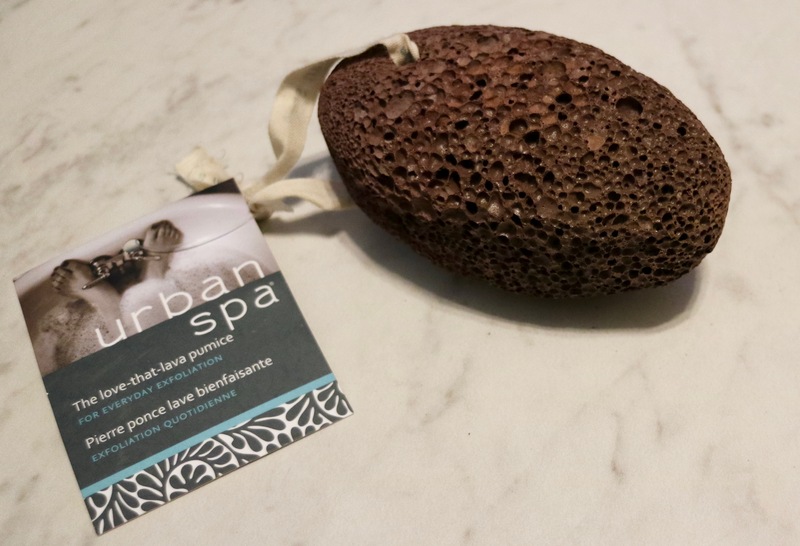 Urban Spa: The Love-that-Lava Pumice. This is an everyday exfoliation. The Love-that-Lava Pumice is a cooled volcanic lava that is infused with magnesium, iron, and oxygen. Making this natural for exfoliating harden skin, rough spots, and build-up of dead skin. I NEED this for my feet! Use the exfoliator on damp skin, daily to reveal soft and smooth skin. What I love about the KBB Stylebox is 1) there are so many different theme boxes to choose from. It’s great because you can get something different all the time. Or it’s great to give as a gift since you can choose which box you want. Since you have an idea of whats going to be in the box, you don’t have to worry about if they like it or not like other subscription boxes. 2) I like how you can choose what size box you want. They have 3 different sizes: mini, regular, or super size. 3) I also, like the fact that you can choose if you want the box as a one-time purchase or a monthly subscription. 4) If you don’t like the box, you can return the box (all of the items need to be returned) for store credit. This really shows that Knitted Belle Boutique really cares about their customers and their satisfaction. 5) FREE SHIPPING (US only)! Everyone’s favorite 2 words. If you are interested in the products, click the photo for the link. What do you think of the products in the KBB Stylebox? Would you like a review on the Lava Pumice exfoliator or the Spongellé cleansing sponge? I like that you can choose different boxes. And fact that you can get the box it as a one time purchase or a monthly subscription. I wish most subscription boxes have a skip this month because sometimes its not in the budget. Let me know if you get a KBB Stylebox. Yes I think customization is key! I was looking at FabFitFun as well since it’s everywhere but I like to see different options!